Where are the other FZ10's? Wisconsin. The day I brought it home. Nice shot, and I have a bunch of family in Tenn. So, only two pictures and their locations. Where are the other -10s? The other one I've seen with wheels like mine is on Craigslist in Clarksville. I don't know where the black one from the dealer went. Lonely days. Lol. If my bike could travel at the speed of light, would my headlights work? Ooltewah, TN reporting in. Picked up an FZ-10 last summer, and I've yet to see another one around here in person. When I stopped by the dealership to pick up some parts they told me they haven't even been able to get an FZ-10 since they sold me mine. As soon as the weather cooperate you won't be able to get me off this bike. It's the best riding bike I've ever owned....so far. Now that you mention it I've had mine for almost a solid year now and have not seen another one in my area at all. Have seen some 09's and others but no FZ-10's. In our area too there is pretty much year round riding as well. I'm in Maryville, TN. Traded my 2015 FJ-09 for a 17 FZ-10. Had the FJ for over 3 years and it was a perfect machine. Comfortable, good power and handling and there was never a problem with it , not one. Why did I trade? I just wanted something different...and new:) Had always been a fan of the R1 but have never ridden one and don't need to ride one. It is too much bike for me plus I wouldn't be able to ride for more than an hour before stopping and stretching. With the FZ-10 I have a more comfortable R1. I love it although it is not as comfortable as the FJ-09 (soon to be Tracer 900). 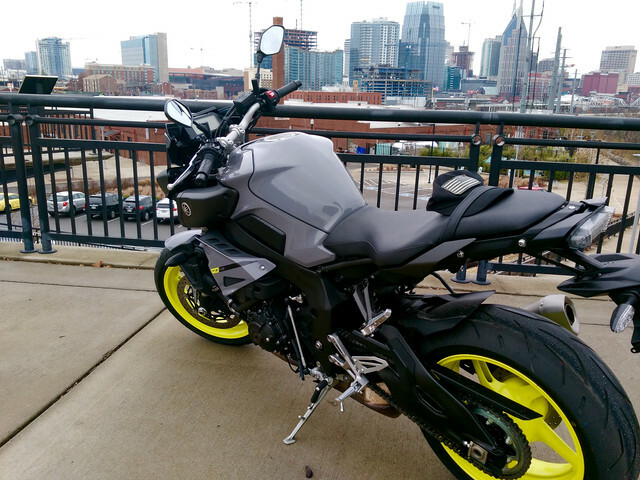 I've had the FZ-10 for almost about 3 weeks now. Have taken it over the Dragon and the Skyway once. I do not regret my decision to get the FZ-10. I got it with the OEM windscreen and OEM side cases. The only other modification I will be doing is the comfort seat.